On the previous post we explained the function of the client or workstation computer and server computer. To complete our basic computer network a third component is needed and these is where the Hub or Switch come in. The basic look for this two network component is a rectangular size box with lots of square shape holes in the front face. This square shape holes is called PORT. 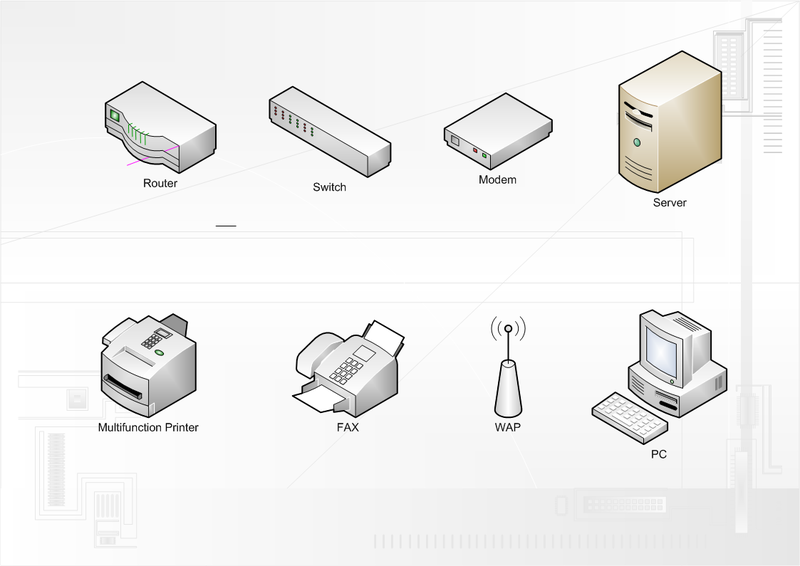 The function of these ports is to connect the patch cable from your client computer and or the server computer. Normally these ports come in even numbers from 4, 8, 16, or 32 ports per devices. They also have lights per port to indicate proper connection and data collision. If the lights of the port that has a patch cable connected to it is blinking then it means there is flow of data from the ports to the client computer or form the server computer and vice versa. Normally an orange light is use to indicate collision in a network. 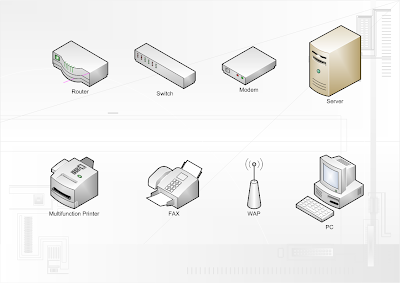 The function of the Hub or switch is to link the client computer and server computer. They also see to it that a data does not get lost during the transmission from the server to the client that is requesting it. In today’s most demanding LAN a more evolve Switch is being used rather than a simple hub. Switch has more brains packed into its circuit compare to a normal hub. But a hub is less costly than a Switch. If your network is a corporate type then a switch is more suitable to do the job. For a less demanding network like a internet cafe network then a hub is well suited for this job in terms of function and cost. Now earlier I mention the word Patch Cable. Now what is that and how does it function in a network. The term Patch cable simply refers to the standard twisted pair cable plus the RJ45 plastic connector. The cable is so called twisted pair because when you open up the inside of the main rubber like cover of the cable you will see five pairs of smaller wire which has a color code twisted by two. So there are five pairs of twisted wire that comprises the main twisted pair cable. Also the RJ45 connector has ten small teeth like metal wherein a crimping tool is needed to force these small teeth like metal to bite those individual pair of cable inside a twisted pair to complete a patch cable. But I say but you cannot just connect those small cable with the RJ45 connector in any fashions there is a proper way of doing it. This proper way is called standard cabling. In this standard cabling there is a set of color code that we need to follow in order for the patch cable to work. Also you have to make sure that the code is correct and that the wire inside the RJ45 is properly and tightly crimp. Otherwise we risk the network not work properly and wasting the RJ45. Once the twisted is crimp onto the RJ45 there is no way to removed it other than cutting the cable and the RJ45 can no longer be used. We will not go into the color coding of each cable here.I did a small explanation regarding on how assemble a patch cable so that we would have the basic understanding on how it works in the network. But there are far more concept and information regarding your computer network than compare to what we have talk about in this blog. We haven’t touch on the type of Topologies involve, type of LAN involve whether it is a peer-to-peer network of a client-server network. Another thing is in a common corporate LAN of today, there are more than two server’s involve. To name a few there’s the common File server, the Domain controller which usually comes in two then there’s the Print Server where all the printer resources is located. Then there the Exchange Server for all the emails and there the Application server. There is no fixed number of servers that a corporate LAN can have. It can be two or more depending on the needs of the company. The entire server mentioned above has each own function in a network. They several of this to handle specific jobs for the network. It would troublesome if only one computer server is assign to do the entire task mentioned above for a server. Imagine one person doing five or more works simultaneously. So the need for each specific server to do each specific job assign or program to it. More network component as the network goes bigger and wider from LAN to MAN to WAN or the Ultimate WAN the INTERNET. I just stumbled on to this and I'm SO glad I did. Thanks for all the great info! Your article on the topic includes the information that i was looking for. Your post helps me to understand what really is, and i will surely recommend it to other people. It is a very nice guide to learn networking. I read regularly this blog. You have done a great job. It is easy to understand. Thank you so much for this great work. this articles is verry2 important for me, thank for share..